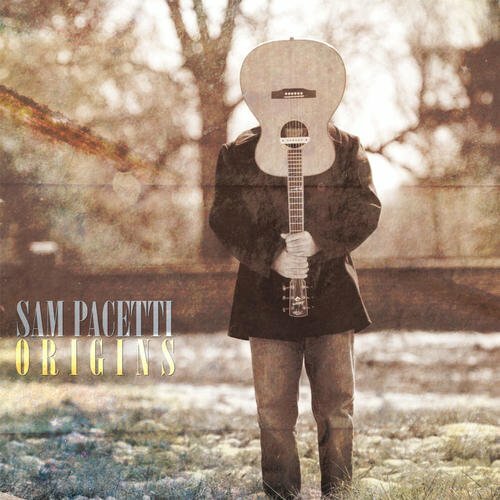 Sam Pacetti returns with the recording longtime fans have craved: jaw-dropping fingerstyle showpieces delivered with insouciant grace, stylish interpretations of songs from “Sweet Sunny South,” to “Psalms of Pain;” Merle Travis’ incendiary “Cannonball Rag,” and “Nine Pound Hammer.” Pacetti honors heirloom works of master musicians near and far: who would illuminate an organic connection between the urgent momentum of Scotland’s hoary ballad “The Drowned Lovers” and Cuban composer Leo Brouwer’s “Etude #6”? Sam. Stuart Duncan contributes fiddle to two tracks, Stephan Kowzlowski plays violin on two, Gabriel Valla rhythm guitar on one, and Elizabeth Williamson sings harmony. This is a serious talent on the first blips of a skyrocketing arc. His debut recording, Solitary Travel, is a stone knockout.